Beautiful Tabitha is estimated to have been born outside around September 15, 2018. Happily for her (and her sister, Samantha), the little girls were rescued and taken into the Last Hope program. 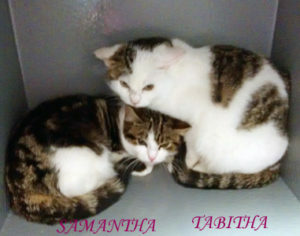 These cuties were home fostered and now are at PetSmart, Huntington Station, eagerly waiting to be adopted into a loving forever home (or homes). 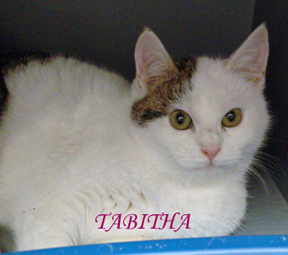 Tabitha is a quiet, gentle little girl. Of course, being a kitten, she likes to play, too! She and her sister are best friends and it would be wonderful if they can find a home together. Separate adoptions are possible, too. Come visit me at the PetSmart in Huntington Station, New York. This entry was posted in Cats, Female, PetSmart - Huntington Station, Under 6 Months. Bookmark the permalink.